Complete your degree in as few as 48 hours! In this series, Dr. Tennent explores the phrase "sanctified, spirit-filled" from the Seminary's mission statement. Listen in our chapel archives! Study Online while you Stay on Mission. Study online to complete a Master of Divinity or Master of Arts in Leadership without uprooting your life or leaving your current place of ministry service. Now CACREP accredited, ensuring you will be ready to enter into professional practice! Put your Christian College credits to work for you with our Advanced Standing program and Scholarship of Distinction. Watch this online study to help discern God's call. Where does your deep gladness intersect with the world’s deep need? Who can mentor you as you pray about your calling? What is God’s bigger vision for you? How has that been confirmed? Where do you have a love for God’s great work in the world? What is the role of the Church in our culture? What is the purpose of Asbury Seminary as it relates to the church? Why do people attend Seminary? Why do you believe that God is calling you to Seminary? 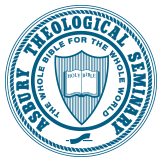 Asbury Seminary is a multi-denominational, multi-cultural, evangelical community rooted in the Wesleyan tradition. What does that mean? Join our multi-denominational, spiritually vibrant, academically rigorous community. See housing options that meet your needs. Incorporate physical fitness into your lifestyle. Grow personally and spiritually within community. Study online. Stay on mission. Learning formats that fits your busy lifestyle. Stories of alumni, students and faculty from around the world. Messiah College Graduate Students Set yourself apart from the crowd with the new Christian Education or Intercultural Studies Certificate Track made available through a collaboration with your graduate degree program. Learn more and apply. Chapel Schedule Chapel Services are held each Tuesday, Wednesday and Thursday from 11 a.m. - Noon in Estes Chapel. The Florida Campus holds Chapel Services every Tuesday from 5:30 p.m. - 6:15 p.m., and Friday from 11:30 a.m. - 12:15 p.m. at the Harper Room.